So a new look is here. So fare only working with 1920x1080, so if you are not gaming at the resolution you should either try and resize it to make it fit or download one of the many awwsome UI packs on this site. If you like what you see but your resolution isnt support drop a comment with a request and i might work on it. As always all credit should go to the developers of the addons and/or skin textures, i only put it together and made it look nice ( in my opinon :P ). Right click menu is ALT + Right mouse button, changed in Clique binding. Mail info is giving through /SLDT or just above the actionbars, right corner. Clock has to be turned off in SLDT or you will lag like crazy. If the normal bags are showing at the same time as the stuffing bag addon you need to remove the keybinding B from "show all bags" to "toggle bagpack". Easy to use and not confusing. Easy to set up the first and only time you need to(per toon). UI Covering the most basic things you need and is easy to expand on. 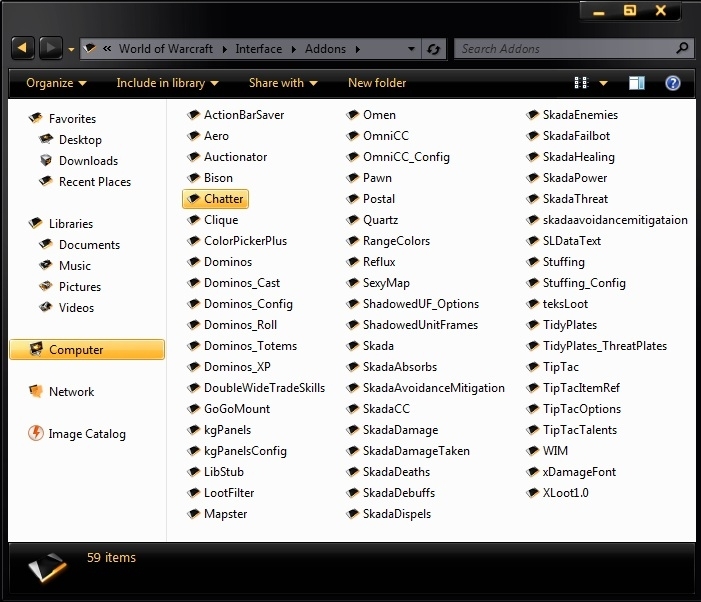 No cluttering on the screen from different addons. 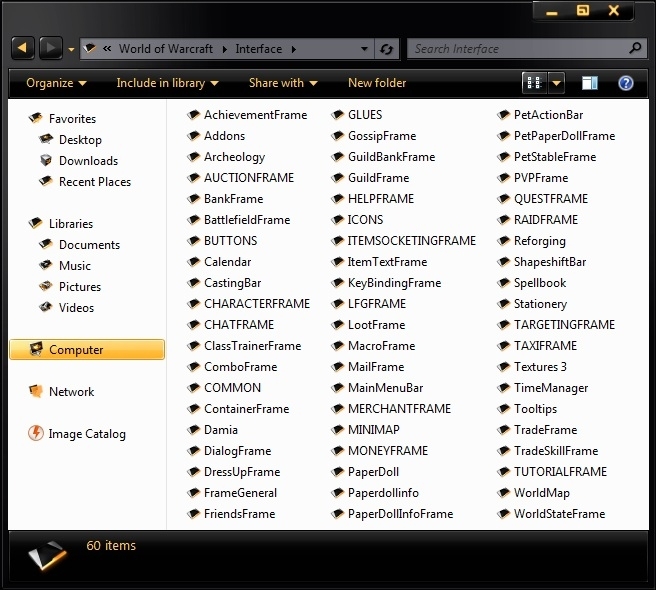 copy the content of the zip file to your world of warcraft folder. Be sure to backup and delete your interface, fonts and wtf folder first. 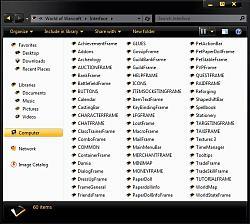 In this zip are 3 folders extract those to your World of Warcraft root folder. Inside the WTF folder is a folder called account and inside that a folder called YOURACCOUNTNAME. Change the later to the name of your account and if you have more than 1 account you simple copy this folder as many times as needed and chance the name to fit the accounts you are using. Once ingame you will get a popup from Threat plate which you should accept, if you miss this somehow go to the interface options and look under tidy plates and select it there. Last thing is to simply write without quotation "/reflux switch SithiaUI". Your done. Reload your UI and GAME!! Reuploaded, something was wrong with the addons that were zipped. It is now fixed. Rearranged Party and Raid frames. Reflux profile updated, sldt clock should now be off by default. Gone back to the old 0.6 version look. Removed a few addons and fitted in a few others. Retextured almost everything ingame-Credit goes to whoever made the textures, source unknown. Cleaned up a quiet a few missing/wrong settings. Add'd support for more resolutions. Remove and switched quiet a few addons cause the originals were not behaving right. A few other small things here and there. Add'd new borders and colors to the entire UI. Add'd debuff's on target for easier management. Add'd auctionator, a lite auction addon. Lots of small and minor tweaks to the entire Interface. Move the 2 hidden bars yet again to what i finaly think is a good position to the right and left of the pet bar. Changed the bag addon from combuster to a more minimal addon called OneBag3. Add'd Gearscore to the mix, cause some idiots still wont let you pug without it. Add'd RatingBuster to the mix, for better detail when switching for better loot. 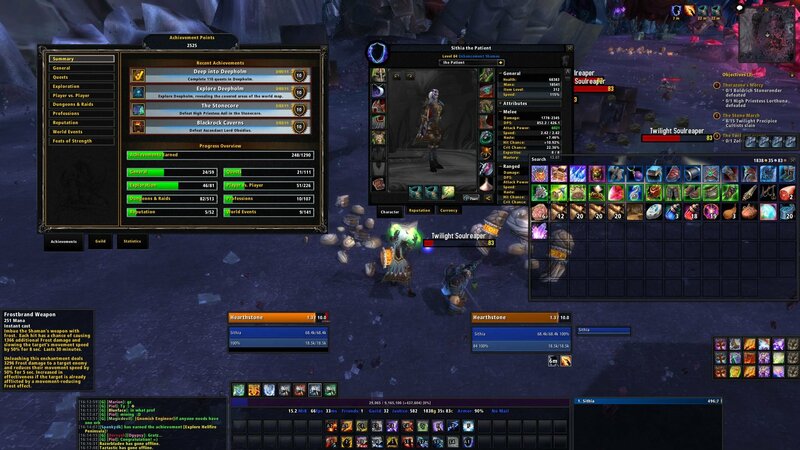 Add'd Stat line addon just above your action bars for a bit of quick info. Combat text has been split up between you and your pet if you have one. So now all pet damage/healing will pop up over the pet HP bar instead of merging with yours which made it a mess in the long run. Fixed a few other smaller things. Moves the player,target,pet,target's target frames down for better overview. This includes the castbars as well. Add'd a focus target below target's target. Add'd MrTrader addon to the mix, for better tradeskilling overview. 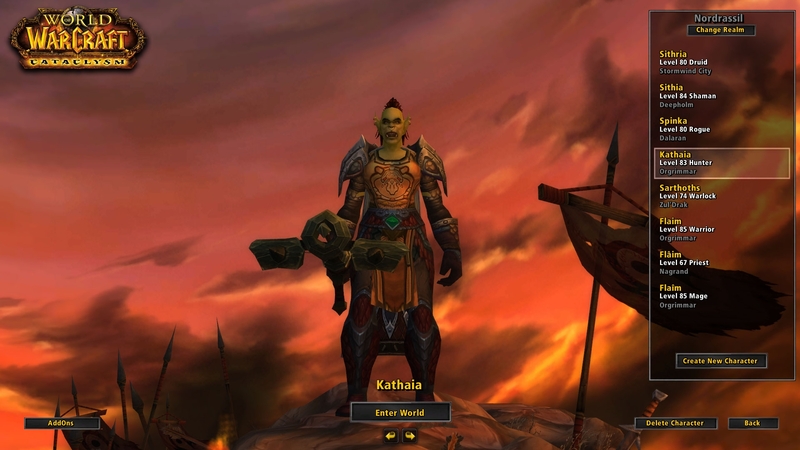 Changed the name of the UIPack to KathaiaUI. Moved the combat text to feel less in your face. Enabled to bars more, hidden to the right and left of the screen, with panel textures. Fixed the Class Bar(stance bar). Would this one work for 1680x1050 ? i know its for a higher revolution but would it work ? 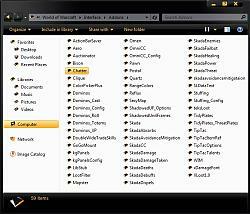 How did you get the Windows Explorer to be black? Great UI but can you tell what bag addon are you using? Im using Stuffing as bag addon. So far, I can figure out how to tweak many of the settings. The one thing I cannot figure out is two "status" grids in the middle of my screen. It is just several lines of text, with more info appearing in a popup if I hover over it. On the left, I have Currency, Mail, FPS, Addon Usage and Latency. On the right, I have Guild Members Online, Friends Online, Armor, Bag Use and gold total. So..I tried checking all the different addon settings, but I can't seem to figure out which one is doing it. Before installing the addon, I removed my WTF and Addon Directories (Except the Blizz UI addons). The only other addons I downloaded were DBM, Auctioneer and RandomCompanion. Attached is a screen shot of my UI currently. Really nice UI. Great job !! Last edited by dayloon : 03-20-11 at 01:46 PM. I will test that tonight, I never saw them myself to be honest and I was really looking lol. Anyway thanks for the quick reply. Last edited by Jonj1611 : 03-19-11 at 07:55 PM. I have noticed that when playing my rogue I can't see the combo points? Thank you for posting that. I dont play rogue my self so its an error on my part. If you want to enable combo points you can write /suf and go under target and then indication, i think it should be there. Ill remember to include it in my next update. Last edited by poweruo : 03-18-11 at 12:12 PM. Just out of idle curiosity... what addon are you using to change the object icons for the gems used in the JC daily quests (Like Jaspers and Nightstones?). Very nice idea I must say - just can not for the life of me work out what's doing it without running through all the darn options - and in all honesty - I'm just too lazy for that! I did not out of intention use an addon for that , it's a by product, most likely by the texture pack that i use. All credits go to that guy/gal. Yeah just need to change it for the floating combat text. What addon is used to change the font?